India has embarked on a sporting revolution of sorts in recent times which can rightly be attributed to the plethora of leagues that have been introduced in different sports. Today, we have almost 15 annual leagues, duly recognised by the national and international sports associations and bodies, which take place around the year whether it is cricket, football, kabaddi, badminton, wrestling or table tennis. In terms of economics, the sports industry is contributing almost 1.2% to the national GDP. Sportskeeda here looks at 5 of the top leagues in India which give away the big bucks, or have the highest prize money! 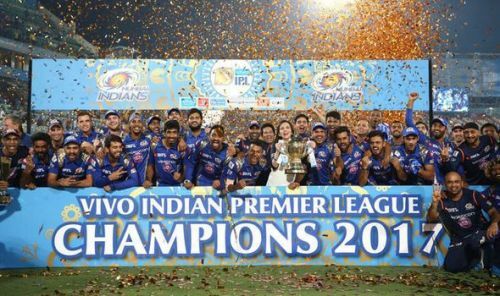 With its 2017 edition, the IPL completed a decade of cricket and entertainment, a milestone in itself. The league is the biggest one across the globe. As such, in a cricket crazy country like ours, it generates more revenue than any other sports league in the nation and thus also accounts for the highest amount of prize money. In 2017, the winners, Mumbai Indian took home 15 crores while the runners-up Rising Pune Supergiant who lost just by one run got 10 crores. Seven other individual awards were presented for the highest runs, highest wickets, fastest fifty, etc; which accounted for a prize of Rs 10 lakh each. While each of the remaining 6 franchises also received a certain amount of prize money according to their position on the points table at the end of the season.